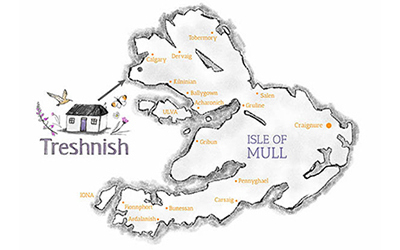 Our unique Mull self catering cottages are open all year round. It’s nearly October and the days are getting shorter – winter is on its way, bringing long evenings and unpredictable weather. 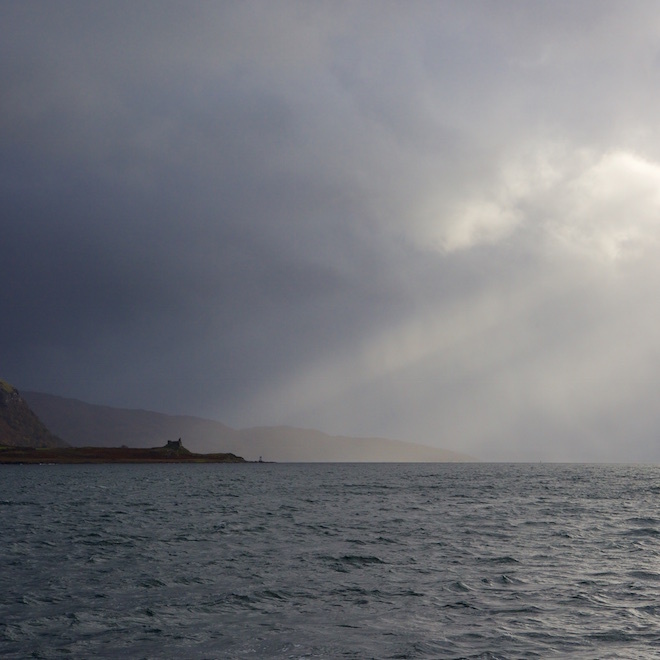 The phrase ‘There’s no such thing as bad weather, just inappropriate clothing’ is a perfect maxim for a winter visit to Mull and to our lovely cottages! Come prepared for the worst! Be pleasantly surprised! We had a couple staying from Germany one winter a few years ago. We had 7 days of beautiful still calm and sunny weather. 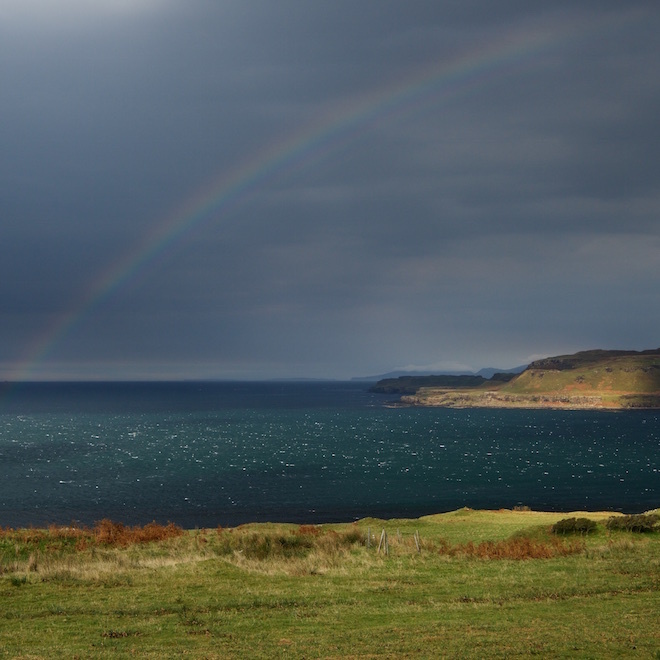 Whilst they had loved the cottage and being here at Treshnish, they were sorry that they had not seen any storms. They asked when they could come back to experience really bad weather! Over the years we have been steadily renovating and improving our characterful cottages. Making sure they are cosy and comfortable all year round is of paramount importance. Each cottage has masses of insulation, energy efficient double glazing and ample heating. During the winter, visitor attractions such as Duart Castle, Mull Museum and Mull Aquarium close, however there are still plenty of wild historic places to explore. 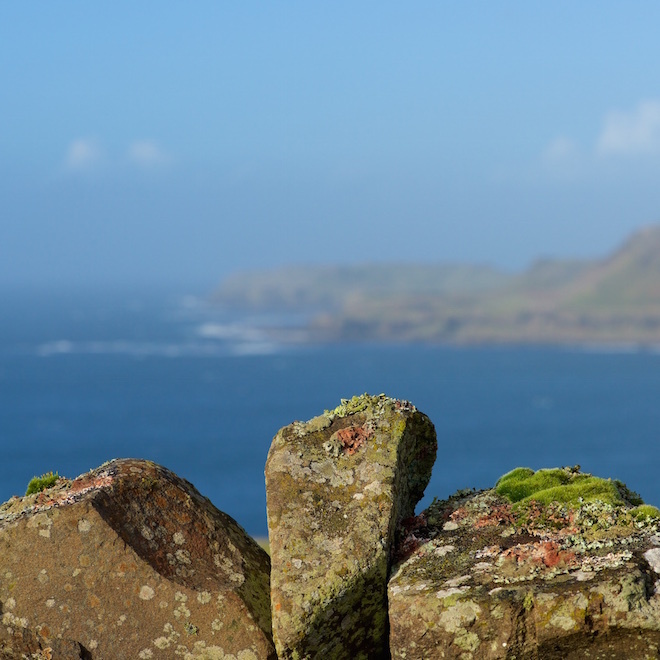 There are ruined castles, standing stones, stone circles and art installations to discover. Not to mention the potential of all the walks to be taken, beaches to be enjoyed and hills to climb! Wildlife is still plentiful in the winter. There is a nature diary book in each cottage, written by Prasad who lives on the farm. It has day by day entries of what he has recorded at Treshnish throughout one specific year. So it’s a good guide as to what you might look out for. The pubs stay open all year round so eating out is not a problem – watch out for the Tobermory Bakery and An Tobar as well. Calgary Arts is open in November and December, for self service tea and coffee while you browse their art, and if you go to Lochbuie, its worth looking to see if the Old Post Office honesty shop is open too. 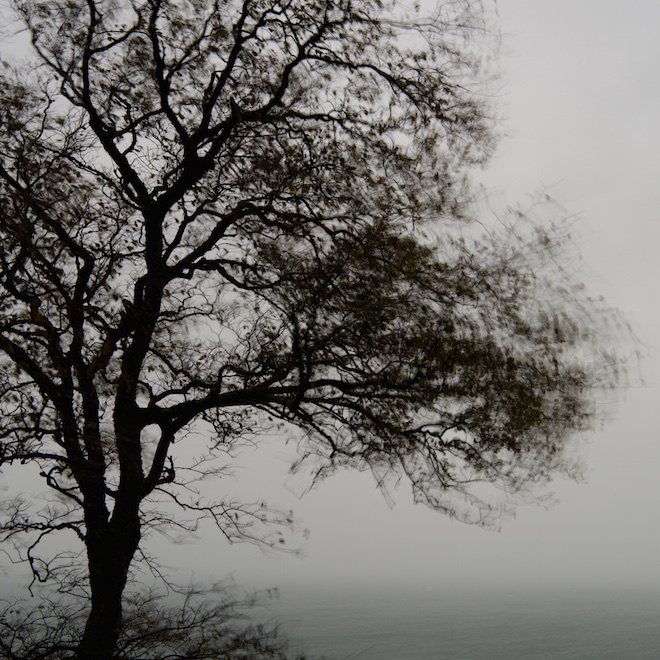 We have had a damp autumn – to say the least. On the bright side, that means we have seen plenty of rainbows! Looking ahead, I always think of November as being the month of rainbows and big skies, wonderful light for photography too. Nothing better than an evening cosy indoors by the fire when the wind is howling outside.. or a wild walk on a windswept beach! We have emergency windup torches in case of a power cut, though in reality we don’t have them very often! Please get in touch if you have any queries about staying with us during the winter. We can’t predict the weather but we can guarantee a warm welcome!